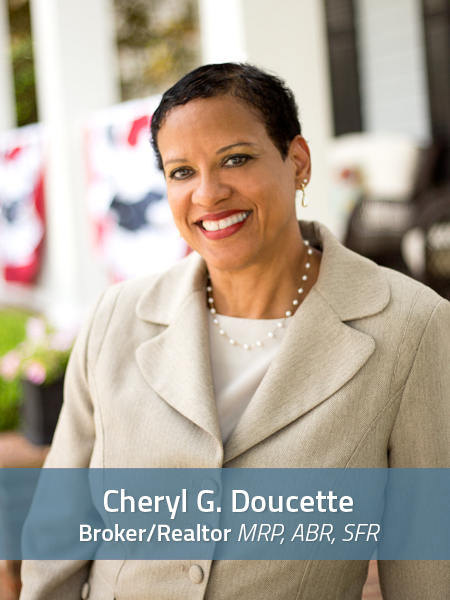 Born in New Orleans and raised in St. Martinville and Baton Rouge, Cheryl is a full blooded Creole/Cajun descent. And yes…she can cook a mean gumbo! Cheryl entered college on a Naval Scholarship in her senior year, where she graduated with honors with a B.S. in Business and Computer Science. Her goal and dream of commanding a battleship quickly changed when she found love and had her son, Kenneth. Cheryl Doucette has deep Military ties. Her son Kenneth, joined the Army while attending college at the University of Alabama, Tuscaloosa. He followed in his Mom’s footsteps and was also in the Honors program. Soon after enlisting, he was called to war. Her son Kenneth is now a member of the Wounded Warrior Program. He continues to serve his country here at Redstone Arsenal. Cheryl thrives on giving back and is very involved in the Military community. She thanks God daily that her soldier returned home. This also drives her desire to help others. Knowing she can positively contribute to those who sacrifice so much for our country is what gives Cheryl meaning and purpose. Pay it forward. And she does it well. Cheryl believes in education. Soon after earning her Real Estate license, she set off to educate herself in order to better serve her clients. She proudly holds the Associate Broker title. My first home sale was a so special. I was able to help a single Mom of 2 kids realize a dream that she thought was impossible. 10 yrs later they are still enjoying their home. I love serving & helping people. I simply love my job! Integrity & honesty and professionalism are key to being a good realtor. One tip to your buyers? Buyers, always use a Realtor. Sellers, always use a Realtor.